Discussion in 'Repair, Restoration, Conservation and Preservation' started by Stevie Goodwin, Mar 12, 2019. Hi everyone. I just acquired my first 10 screw model SCPH-30001 10 screw PS2 model. It's a GH-005 board and serial starts with U1 which mine i think is a V2 mainboard and it has the Auto adjusting tilt motor. Anyway, The KHS-400B laser in this console was on it's last legs so it would only read PS1 games when the console was flipped over but would read PS2 silver games and DVD movies fine. When i tried to clean the existing laser to clean the bottom lens, It now died and it would no longer read anything. So my only option left was to install a 400C laser. 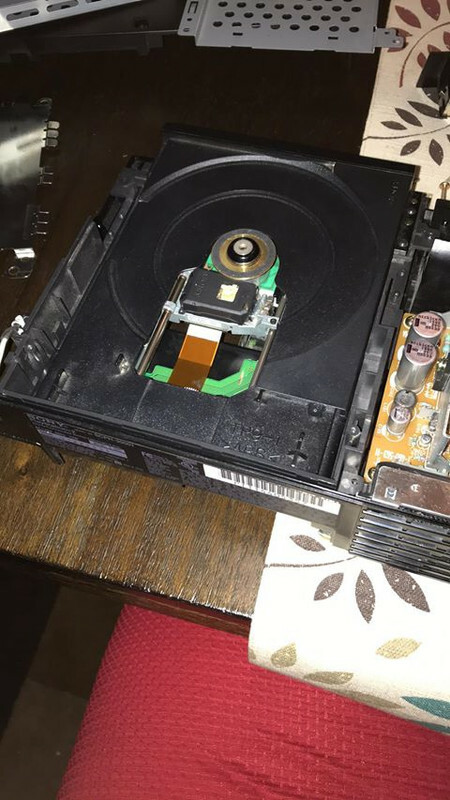 Since people say fitting a KHS-400C into a V3 or earlier console should never be done since it will cause the ribbon cable to get bent and get destroyed/crushed, I managed to bend the laser connector very very gently and when i installed the new laser, I noticed my PS2 read my games much quicker than before. How well did i do this repair? Can i leave the 400C in there or should i remove it ASAP and find a new KHS-400B for it? Also how well will it run?